Not much happening on the Royal Viking threads for a few weeks now. JO must be time for you to dig out some more of your old photos!!!! 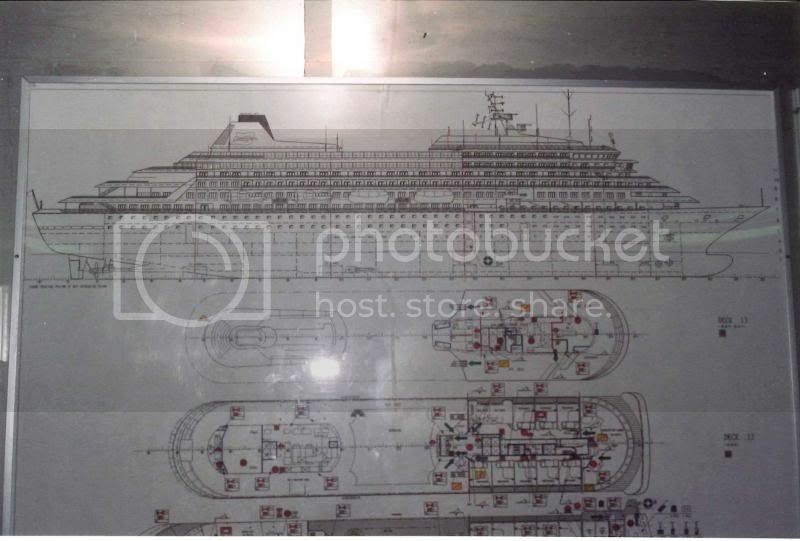 Just noticed that Holland America have updated the Prinsendam pages with the new deck plans - big changes aft on the upper decks as more cabins are installed - where the midnight sun lounge was once - also changes to the aft pool deck. 3. The midnight sun lounge abve the aft dining room - totally disconnected from the rest of the ship - poorly used in service. 4. The aft decks below the aft pool - exposed to all weather and wind - dis-connected from all other public rooms and activities. 5. The forward showroom - stairs so steep I can still recall people holding on for dear life as the ship moved around. 6. The spiral staircase connecting the upper bar to the midship dining room - forcing most people to pass through this section of the dining room to get either aft or forward to their table. 7. The absolutely brillant piece of design wherein all the windows on the upper promenade deck managed to look out at nothing more than the lifeboats. A little more thought could have placed these same windows in the gaps between boats. 8. The observation lounge with its low seating and low head room - looking out effectively on the bridge roof top - which was never well maintained. 9. The golf studio - totally enclosed on a lower deck. 10. The raised foredeck swimming pool for the crew - which ruins her forward profile and of course that gantry crane on the foredeck as well. Humm - the designers could have done a lot better with the Sun. 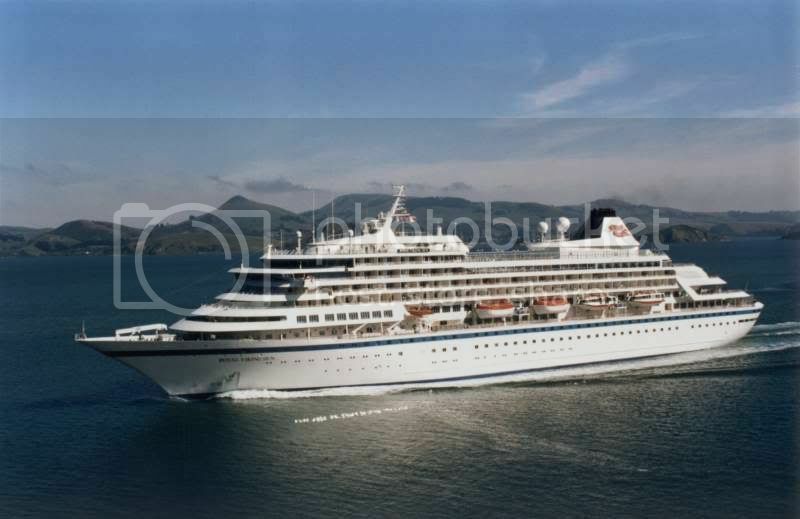 Look at how the Europa was put together in a quicker timeframe with a much clearly definition of her upmarket identity and layout. Interesting changes.... downloading the PDF format deck plan as we speak. With the training for a new job these days, it might actually take a bit more time than initially planned. Wouldn't it be nice if running CVF was profitable enough so that I could make a living of it. That is an idea for your retirement Captain. I agree - that looks terrible. The image on shipspotting.com really shows the new cabins to best effect - the aft end now really looks quite ugly. It almost looks like they have messed with what was already a perfect ship... you just don't mess with perfection. The square corners does not look good on her well rounded original corners. Agreed again - lets face it Holland America are not renowned for good looking ships - the Rotterdam of 1959 being their last??? I remember when I saw HAL's first of the new Statendam class: exiting design at first, but at the second look. already boring. The 1959 Rotterdam was, as you said, probably the last well-designed ship they had in their fleet. When they purchased RVS, I really hoped they had taken to some sense, but they had to send her to this dreadful conversion. I totally agree 120% - the Royal Viking Sun has a modern and a very beautiful profile, even today, almost 21 years since she was launched. She is a clear testament to the statement that elegance is timeless. I agree completely: Royal Viking Sun was my favourite ship. Here's a photo I took of her on the move in Sydney Harbour, Australia, repositinioning from one berth to another. 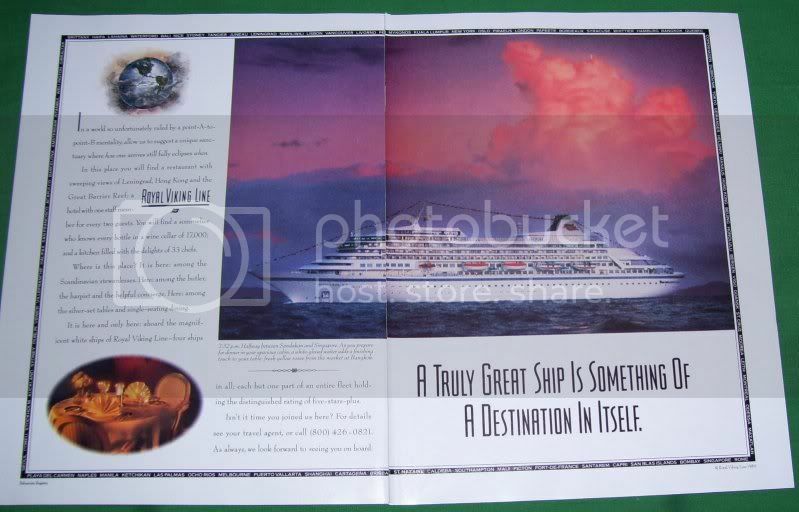 I always thought that Royal Viking Line's publicity created such a strong and unique identity for the brand - you could just tell the product was premium just by looking at it. Last edited by MR028; December 26th, 2010, 04:55. It's evident that her designers has taken much care to create a sleek and harmonious profile while still incorporating many balcony staterooms - in contrast to the designs of today. Holland America Line (or Carnival, really) should be ashamed of themsleves for the recent addition of a cabin block to the rear of the ship with no thought or attempt to harmonise with the ship's lines.